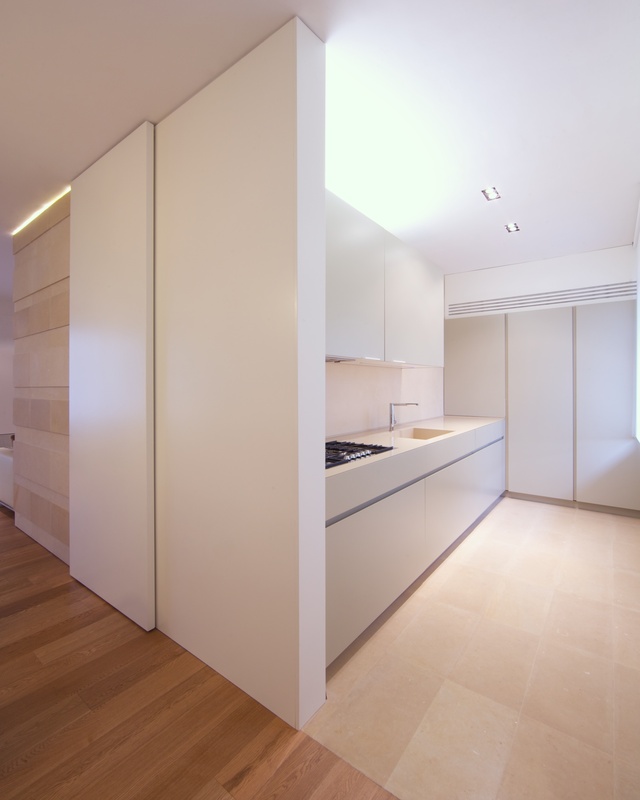 Private house, Poggio a Caiano - Sammarro Architecture Studio. 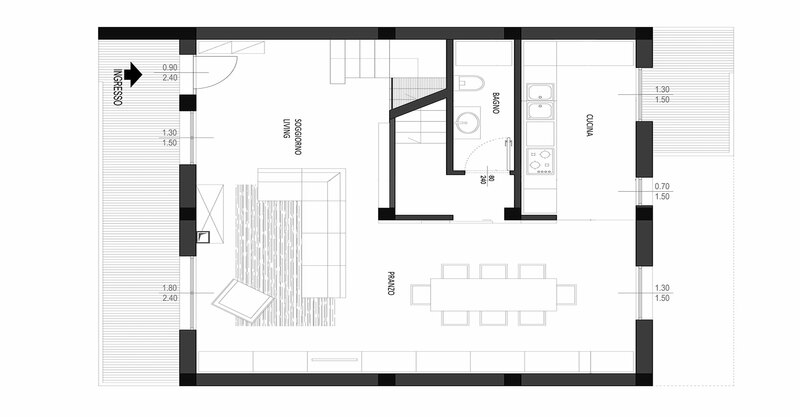 The layout of the living area is organized on a horizontal axis distinguished by different spaces (the living room, the kitchen, the dining room, and the bathroom). 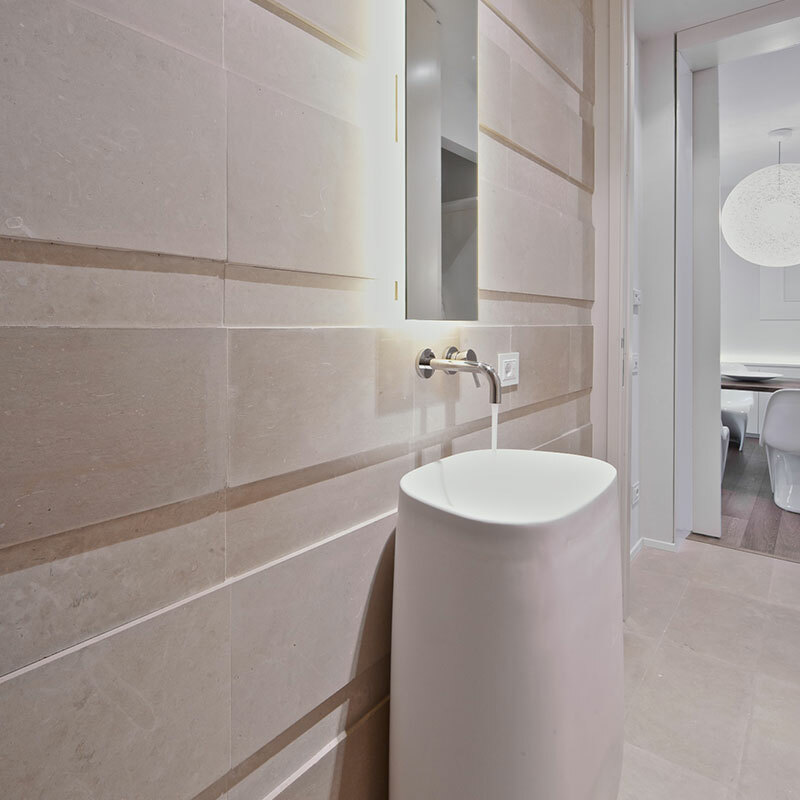 The choice of covering the "cube" wall in the dining area with Lecce stone allows to obtain a pleasant decorative and emotional effect in the environment. For the flooring was chosen parquet in brushed oak. 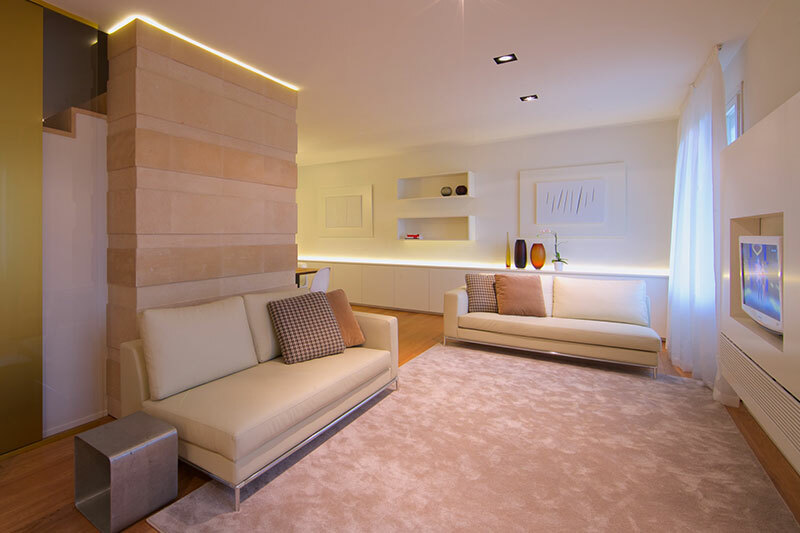 The lighting with lamps and decorative design helps to make the environment welcoming and of effect. The interiors of this house summarize the minimal aesthetic. 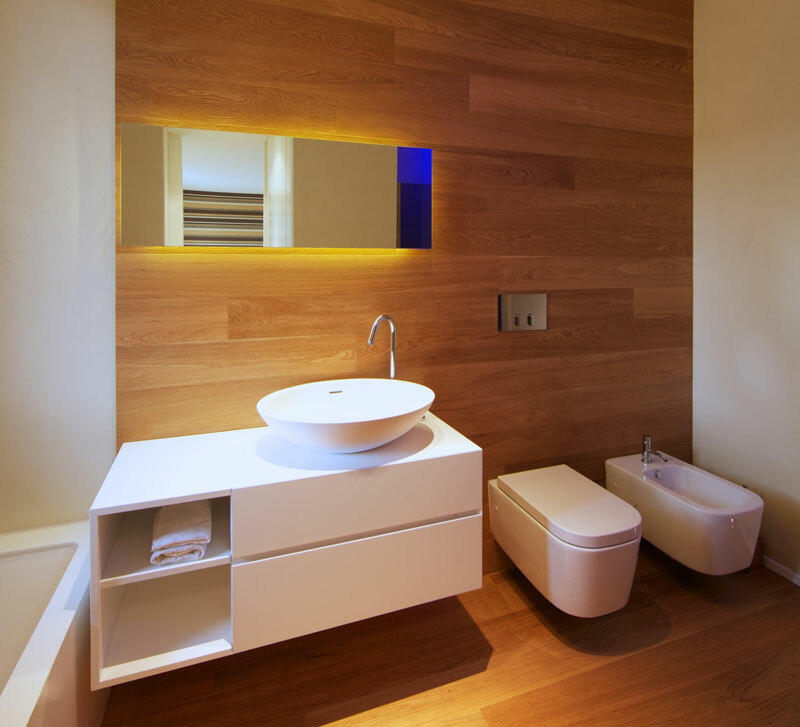 The project stands out for its rigorous style but also for the light and the way in which it affects the environments, for the design, for the quality of the materials that acquire a fundamental importance, for the purity of the lines and the geometric shapes.